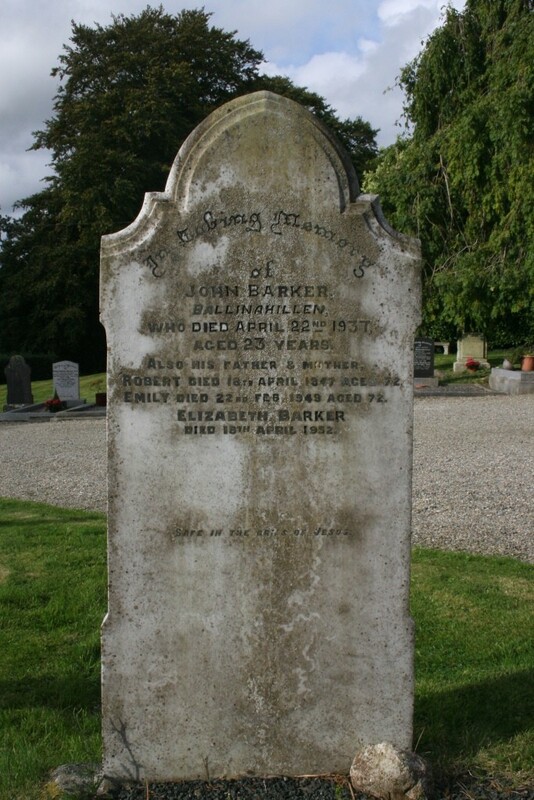 In loving memory of John Barker Ballinahillen who died April 22nd 1937 aged 23 years. Also his father and mother Robert died 18th April 1947 aged 72. Emily died 22nd Feb. 1949 aged 72. 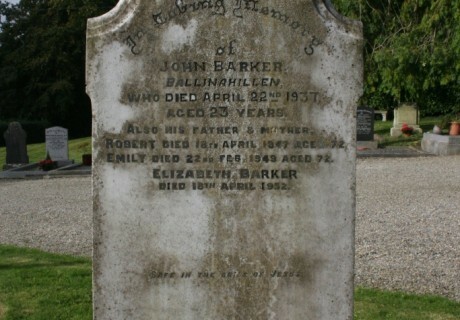 Elizabeth Barker died 18th April 1952.